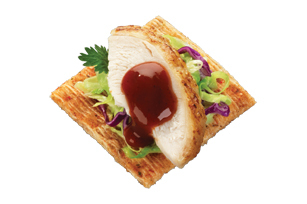 Makes 4 servings, four topped graham squares each. 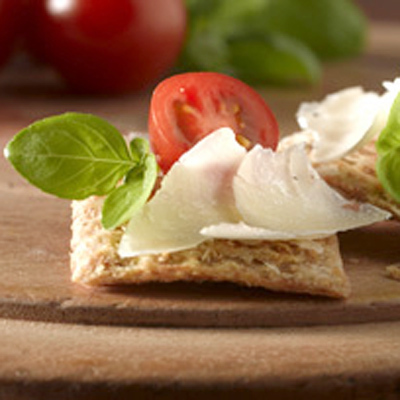 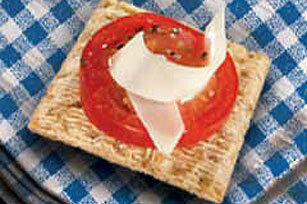 Spread grahams evenly with cream cheese. 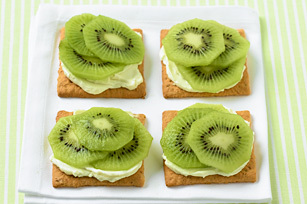 SubstituteSubstitute 12 strawberries, cut into four slices each or 2 bananas, cut into 16 slices each for the kiwi. 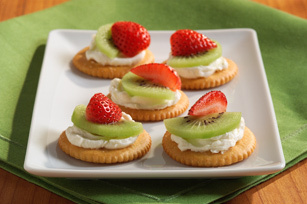 In this deliciously simple low-fat snack, graham squares are spread with fat-free cream cheese, then topped with sliced kiwi for an excellent source of vitamin C. As a bonus, each serving provides 8g of whole grains from the HONEY MAID Low Fat Honey Grahams.